We are excited to share some "ornamental" ideas with you this week. 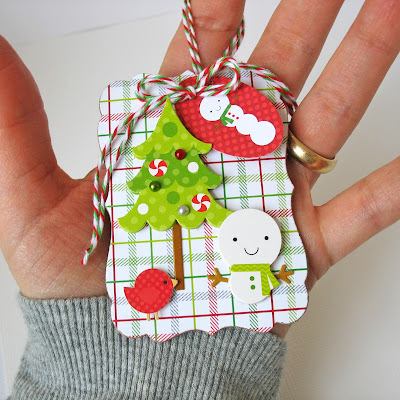 We've given our design team the task of inspiring you with their ideas for holiday ornaments. Whether or not you use them to hang on your tree to as a beautiful accent on a gift, we hope to inspire you! I love, love, love handmade Christmas presents and ornaments and cards and gifts and ... love the heart, soul and love that go into each handcrafted item. I made these two ornaments to share on our tree this year. 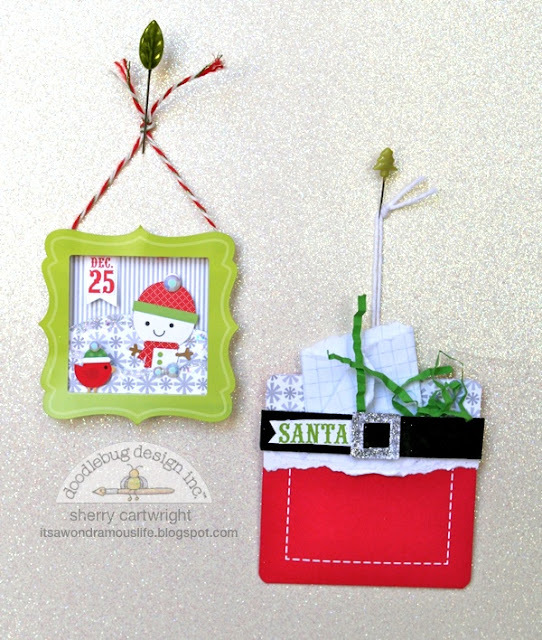 I envision a second Santa ornament being made and each containing a letter from my kiddos. Hop on over to my blog for more details about these ornaments. Too cute! Love those tweet birds, Jing Jing! Super fun ideas girls!! TFS!